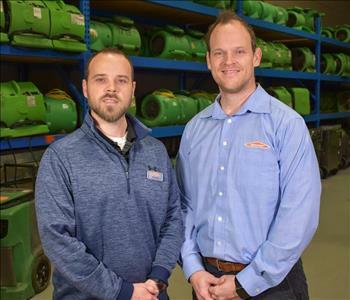 In 1999, the Wilson family moved to the Birmingham, AL area to begin building the SERVPRO brand specializing in Water Damage, Fire Damage, Mold Remediation, and other cleaning services. Benji & Brady Wilson took over as Operating General Managers in 2007. Since then, SERVPRO of Birmingham has continued to grow through excellent customer service and clients that believe in our Cleanup and Restoration Process. Not only do we provide services around the Birmingham, AL area but also serve customers in need through Storm disaster areas. The Wilsons prides themselves on staying on top of technology, services, customer service, and many other things. With the help of this, SERVPRO of Birmingham is one of the largest franchises in the SERVPRO system and strives for excellence.